Admission to Walt Disney Studios® Park from 8pm for Jazz Loves Disney on date selected - If you have purchased the "Premium" ticket, you have access to the park from 4pm! There are two seating times available: 8.15pm (access to the waiting line is available from 7pm) or 10.30pm at the Stunt Show Arena. Gate-ready Disney Loves Jazz E-Ticket not a voucher, ensuring minimum fuss when you arrive at Disneyland® Paris. There is nothing to redeem and you simply go straight through the gate on arrival. And that’s not all… attractions will be opened and you will enjoy the last evening of Le Rendez-Vous Gourmand to taste the best of European food and wine! 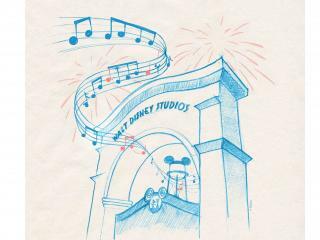 The Premium ticket gives you four extra hours at Walt Disney Studios Park, time to enjoy the magic and attractions before Disney Loves Jazz event. *Artists and program subject to changes at any time without notice. You will be emailed a gate-ready e-ticket Disneyland® Paris Disney Loves Jazz E-Ticket that must be printed on receipt. Upon arrival at Disneyland® Paris, simply scan the barcode at the gate for admission to the park. Your Disneyland® Paris Disney Loves Jazz E-Ticket will be emailed to you within 7 days of booking. If you are travelling before that time, please call us to book. The Standard ticket allows you to enter the park from 8.00pm, while the Premium Ticket gives you access to Walt Disney Studios® Park from 4pm. Disney Loves Jazz is recommended for Guests ages 18 and older. All Guests will be required to show a proof of age at alcohol selling points, +18. Can i visit Disneyland Park with this ticket? What time does Disney Loves Jazz start? Disney Loves Jazz takes place from 8.00pm - 2.00am. If I am already in the Park, how do I exchange my ticket for the Disney Love Jazz wristband? You will be required to leave the Park and re-enter using your Disney Loves Jazz ticket to receive your wristband.